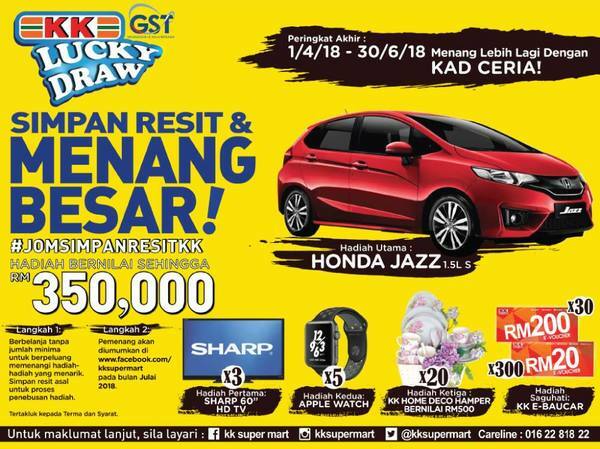 KK Super Mart KEEP RECEIPT & WIN BIG! (活动已结束) KK Super Mart KEEP RECEIPT & WIN BIG! KK Super Mart KEEP RECEIPT & WIN BIG! Easiest contest ever! Spend any amount in KK Super Mart and keep the receipt, all you need to do is just waiting for winner announcement! Keep the receipt!!!!!!!!!!! Spend in KK Super Mart and keep your receipt! The organizer will announce the Tax Invoice number as the winner announcement! Stay tuned!